Operators will be informed by EA Officers during their routine site inspections that they need to have an approved Fire Prevention Plan. The Plan will form part of the requirement under the Environmental Permit condition relating to general management, that a written management system is in place. 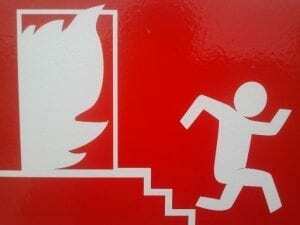 In mid-July the Environment Agency issued the draft of version 3 of its Fire Prevention Plan Guidance. Yet more changes to their requirements! Be warned – you may require fundamental changes both to the layout of your site and to your fire management measures. GP Planning Ltd has been helping clients to prepare their Fire Prevention Plan. These have proven to be more detailed and complex than it appeared at first sight, therefore to help you to avoid wasting time and effort, do not hesitate to get in touch if you require help or advice on this matter.